If you haven’t seen this page of our manual, then you’re really missing out. All the colourbars have a great preview and are logically grouped, making it much easier to find the best look for highlighting your data! So what do we have and when are they useful? You’ll even find popular colourbars matching those in other software. 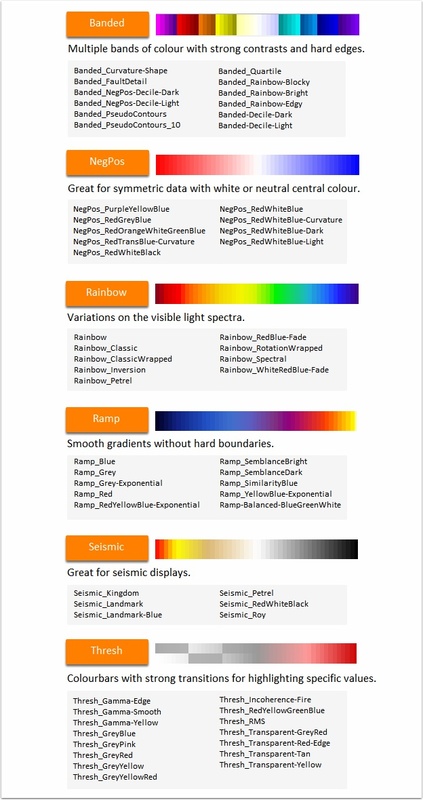 Find out more information on using classes and colourbars in the manual. Still can’t find what you are looking for? Edit colourbars to create your own, or just contact us at support@dug.com. We love a challenge! How do I list what’s in my session? Horizon Tools - Take your pick!